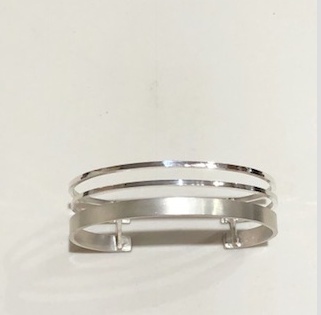 Matte finished large band and two polished smaller bands in Sterling Silver cuff design. 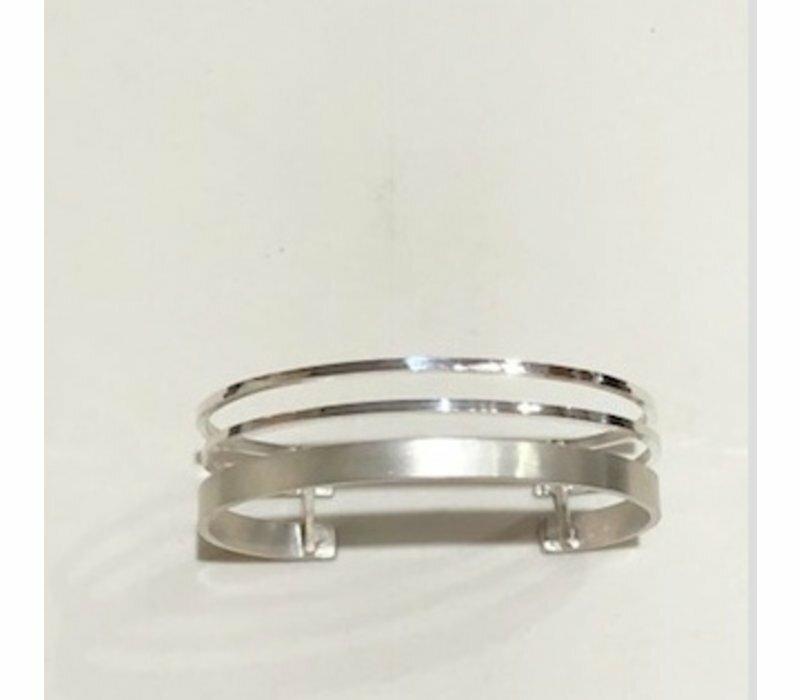 Each band has a different finish for the multi-bangle look. The wide band has a satin finish, and the two thin bands have one hammered and one polished. It is a simple and sophisticated look that is also easy to wear. Cuff measures about 3.4" wide. Hand crafted in sterling silver. Cuff is a size small.